This is an example. 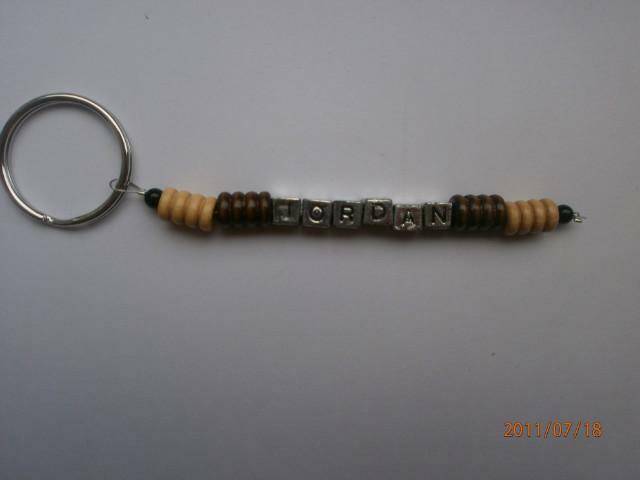 can be made with any name and in any colour wooden beads. These are ideal for childrens bags etc at school. they can also be used as a zip pull.